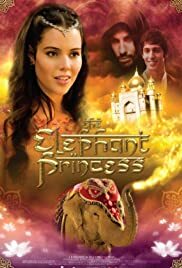 Alexandra Wilson is a regular suburban girl who suddenly discovers she is a princess of a mystical kingdom. New TV 4 Me ? A young man is magically turned a merman, and discovers his underwater origins, after he comes in contact with the magic waters at the mysterious Mako Island guarded by a trio of mermaids. Maddy Smith and her family are the only wolfbloods in Stoneybridge, which is a well-kept secret. They lead a peaceful life until Rhydian, a wolfblood, arrives and triggers chaos. Three best friends move back to their home countries. They find a computer program that let's them teleport to one another. At Alfea College, fairy warriors from all over the universe study to improve their supernatural powers. Bloom from planet Earth joins them upon discovery of her magical ability. A girl has extremely awkward parents and a crazy life.